Nestor Gasset is the broker and owner of International Properties & Investments LLC located in South Florida. 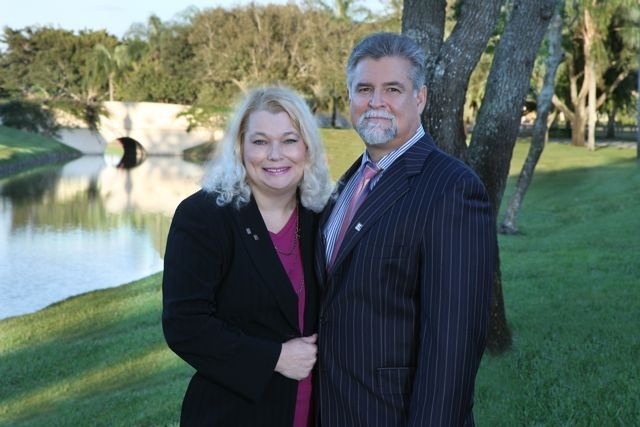 Nestor is a Florida licensed real estate broker in good standing. He started his sales career in 1980. He has been in real estate since 1995 working for brokerages in Texas and in Florida. He opened up his brokerage in 2005. The main office is located in Wellington Florida with agents who specialize in real estate all the way down south to Miami Florida. His brokerage covers the western communities of Palm Beach County which include Wellington, Loxahatchee, The Acreage, Loxahatchee Groves, Royal Palm Beach, Greenacres, Lake Worth and West Palm Beach Florida. We also cover Boynton Beach, Delray Beach, Boca Raton, Palm Beach Gardens and the southern part of Palm Beach County as well as central and north Palm Beach county and the southeastern counties in Florida. We have agents who specialize in new home construction in Port St Lucie as well as residential homes and land in Port St Lucie and the rest of Martin County. Helping sellers and buyers reach their Real Estate dreams stirred Nestor's soul and he became a highly successful Realtor obtaining Top Producer awards on a consistent basis. As he saw the smile on each face of each person he helped he knew that this was his passion. Nestor Gasset keeps on top of the market and has a sixth sense when it comes to future development. Nestor Gasset, Owner and Broker of International Properties & Investments LLC., is a leader in the real estate industry. He is a licensed broker in the state of Florida with extensive knowledge in luxury estates, equestrian properties and ranches, probate, trusts and bankruptcies, foreclosures, REO dispositions, short sale negotiations, commercial and land acquisitions as well as foreign buyers. Prior to opening his own brokerage Nestor Gasset was a top selling, top listings, top producer at Re/Max, Continental Properties and Keller Williams. Before that he was a distributor and sales manager for building manufacturers and has extensive background and experience in building materials and construction. Nestor has over 30 years of experience in marketing, sales, negotiating and consulting in the real estate industry and related industries. He understands the numbers and is dedicated to maximizing his clients’ profitability. Nestor Gasset was a top selling and listing agent for RE/MAX, Keller Williams and Continental Properties. Nestor opened International Properties & Investments in 2005. During the real estate bust ~ Nestor's office was consistently in the top 4% of closed transactions. Nestor’s sales career started in 1980 where he quickly became the number one sales person representing building industry materials and manufacturers dealing with architects, engineers, designers, builders, developers and contractors in Houston Texas. He has a thorough knowledge of the building and development process. He then transitioned into real estate as a Realtor® in 1995 in Houston Texas where he quickly became the top salesperson at Keller Williams Realty. He also did REO properties for Bank Of America. He moved to Wellington Florida in 1998 and has become a force in this marketplace and is known for looking out for his clients even it is not popular to do so. He quickly became the top producer at Re/Max, Continental Properties, Keller Williams and now his own brokerage. Nestor enjoys working out at the gym. He also enjoys golf, snorkeling, spearfishing and boating. We make it to the beach at least once a month with our kids. Nestor has been a coach and sponsor of numerous Little League, Baseball, Basketball and Football teams for youth. He also enjoys playing baseball with his son and watching his son play baseball. Nestor Gasset was born in Havana Cuba. Escaping Fidel Castro’s coming regime he remembers as a young child hearing bombs blasting all around him on the way to the airport to fly to Miami. International Properties and Investments Inc is a minority Hispanic owned business and a small business disadvantaged business. He is a proud member of NAHREP, National Association of Hispanic Real Estate Professionals. He is also a member of WinDS, Women in Default Services. (Yes, men can be members too). You knowledge of the Wellington market is unprecedented. Every time we looked at a property you were quick to give us the pros and cons of the location, even if it was not what we wanted to hear. When we finally signed our contract you made the process seamless and it was the smoothest real estate transaction we have ever been involved with. Not only did you make a client for life, we are glad to call you our friend. We know without a doubt God sent you to help us find our dream home and if someone was to ask us to recommend a Realtor, hands down we would recommend you ten times over. Thank you for all your help and God Bless! Nestor and Katerina, Thank You! Thank You! Thank You! On behalf of myself my wife Christy, and her parents Robert & Natalie Tutunjian, we cannot thank you enough for all of your hard work aud tireless efforts in selling our 2 condo’s in St. Andrews at The Polo Club. Your Knowledge, Skill, Marketing Efforts, Professionalism, and most importantly your pit bull like tenacity I believe are the reasons for your success with selling these properties. In a profession where many are only looking for the easy sale and the Big Commission check, you both proved that you are not just in it for the money but that you truly care about your customers, and are not afraid of hard work to get a property sold. You both are a credit to your profession and I am sure you will continue to enjoy much success. YOU DESERVE IT!! You have rescued us from a very bad position in what may be the worst real estate market since the Great Depression and we will forever be grateful. I promise, if I ever hear of somebody in the market to buy or sell property in south Florida they will be getting your twine and number. Keep up the Great Work! I am writing this letter to express my complete satisfaction and gratitude for helping me short sale my property. I cannot thank you enough for helping me through my short sale process. You guys have gone above and beyond what I had expected and have made me feel as if I was a dear friend and not another client. I am especially pleased with the professional service you and your staff provided me, it has been first class. ​​To Nestor, Katerina and Staff -- I want you all to know how grateful and thrilled I am with the results of doing business together. Your knowledge and professionalism were way beyond my expectations. I was especially impressed with the comprehensive workup of my property; the attention paid to the entire locale with features, benefits and creating a niche that makes a prospective buyer want to step into! The marketing was spectacular. My husband and I want to express our deepest gratitude in bringing the sale of our condo to a close... Even though your commission was small, you treated the listing the same as one of your million dollar listings and put as much effort into selling the property. I would highly recommend your services to anyone trying to sell a property in this very difficult market. You both are also pleasant to talk to and have returned phone calls and answered all of our questions promptly. You truly are professionals to the highest degree. We will both be sleeping better at night now... Thank you again.